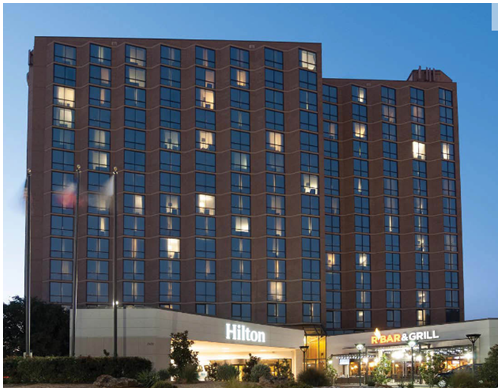 ​​​ARLINGTON – The Hilton Arlington hotel has a new owner, U.S. OCG​, but don’t look for much else to change. The 15-story hotel, built in 1983 near Six Flags Over Texas, was sold Feb. 10, 2017. The sale price for the 308-room hotel was $46 million, according to the website of the Blank Rome law firm, which represented the buyer. The property, at 2401 E. Lamar Blvd, north of I-30, has had six prior owners, according to the Tarrant Appraisal District (TAD) website. TAD appraised the market value of the nearly 210,000-sf hotel and the site at $24.46 million. The Arlington Hilton’s amenities include an indoor/outdoor heated pool, a fitness center, and 11,000 sf of meeting/ballroom space. It was expanded in 2006 with a second, 5,000-sf ballroom.